Mum Made Me! : Its been a busy week! 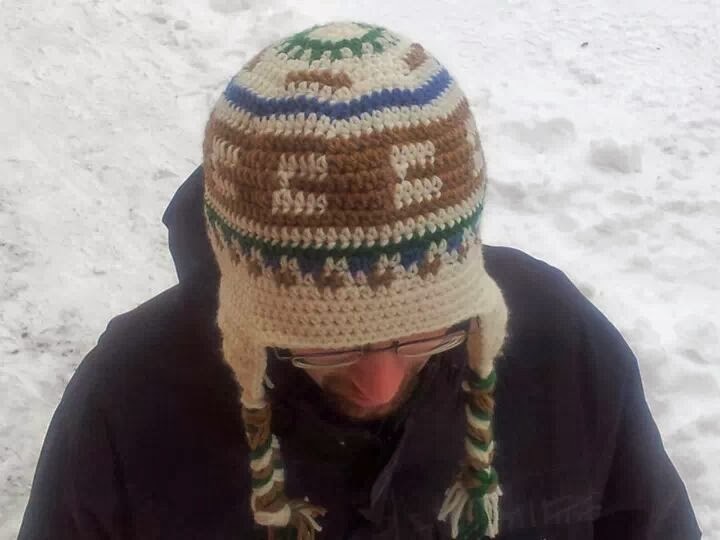 My hubby said the neighbor hubby (who actually had the brilliant idea of getting me yarn - the only person who did lol) was eyeing up the Camo yarn so of course I had to do a hat for him with it! 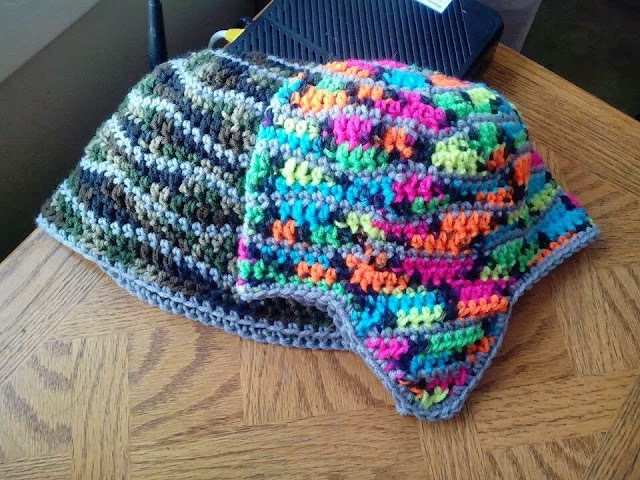 Next was a hat for his wife, my friend. 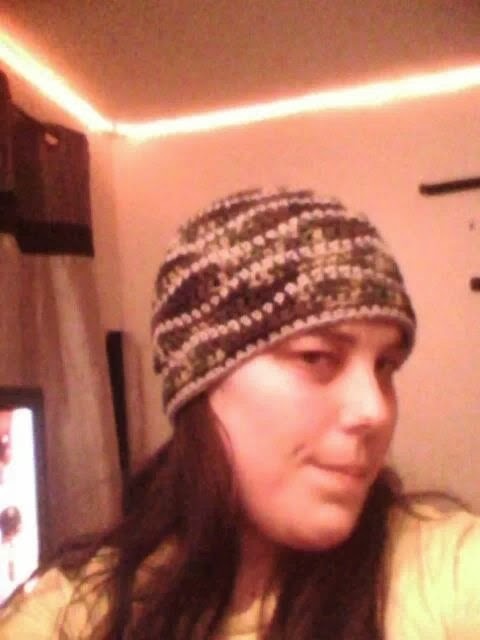 Along with the Camo, they got me a very pretty pink and a burgundy/purple so I used those in her hat (pic to come). The whole time I was making it I was so tempted to keep it, I love how the colors turned out! 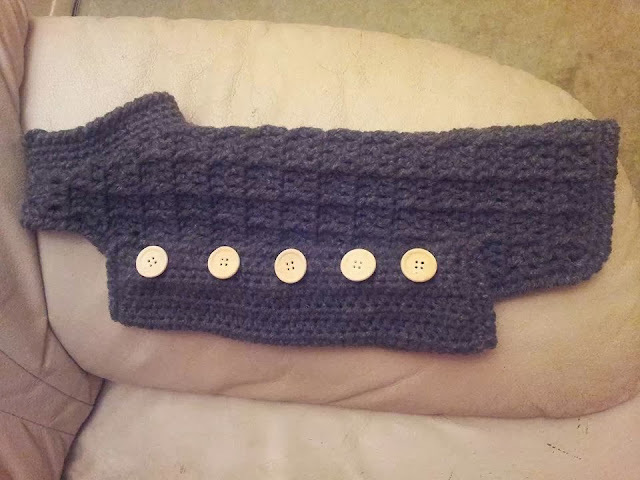 Just added a pic of the dog jacket. Now all I need to do is sew on the buttons. I think I'll wait to do a proper fitting before I do that. I really hope it fits, considering I've never met the dog and all I had to go by was measurements (taken with a ruler - eep... lol) given to me by the owner. Crossing fingers! Wow you have had a busy hat week. 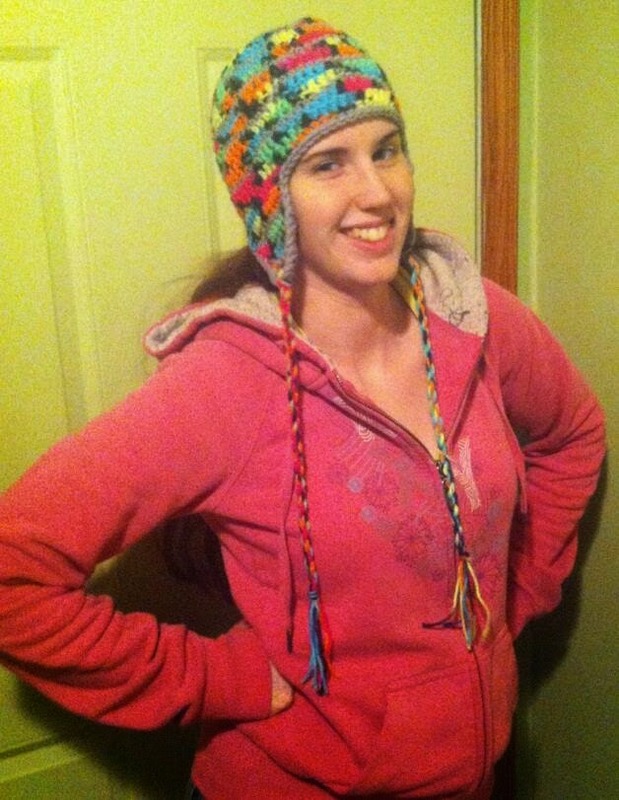 Thanks for testing the Inca Hat for me! Love the little dog coat!